The world's first trial of personalized mobile TV advertising has proven its effectiveness with a positive consumer response. The trial was conducted by Ericsson (NASDAQ:ERIC) and the Norwegian Broadcasting Corporation (NRK). The results of the three-month trial, which have been processed by M:Metrics, show that the average click-through rate reached an amazing 13 percent, and the average viewing time of each mobile TV user more than doubled - to seven minutes per session - when users interacted with customized ads. The trial also showed this behavior was sustainable in terms of the click-through rate and session times because usage was consistent throughout the trial. Almost half of the users were 30 to 44 years old, followed by those 18 to 29 years old. Participants identified entertainment and music as their most common interests when starting in the trial. Advertisements in the trial were interactive, customized to ensure their relevance to individual users, and tailored to the user's age, gender, location, and personal interests. Advertising content also spanned an array of formats, including videos, banners, ticker texts, and branded downloadable content. Gunnar Garfors, Director of Development at NRK, says: "We aim to provide our viewers and listeners with content that is relevant and of interest to different target groups. The same should apply to advertisements. New functionalities such as fast channel-switching between seven TV and radio channels make content, ads and services as accessible as users expect." Kurt Sillén, Vice President, Ericsson Mobility World, says: "The trial lays the foundation for a mobile TV advertising business model. For broadcasters and operators, the mobile TV application results in increased traffic and new revenues from advertising and paid interactions. This opens the way for new advertising formats, widens target groups and builds customer loyalty while giving end users an enhanced TV experience." Paul Goode, Vice President at M:Metrics, says: "Previous research from M:Metrics has shown that pricing is a major deterrent to the adoption of mobile TV, and that up to 41 percent of mobile TV consumers would accept advertising-subsidized services. The results of this trial confirm the willingness of viewers to embrace advertising. This is excellent news for the growth potential of mobile TV audiences." The trial started in Norway in December and is open to the public. Volunteers are able to access three NRK TV channels and four of its radio channels. A made-for-mobile 24/7 sports TV channel is among those available during the trial. 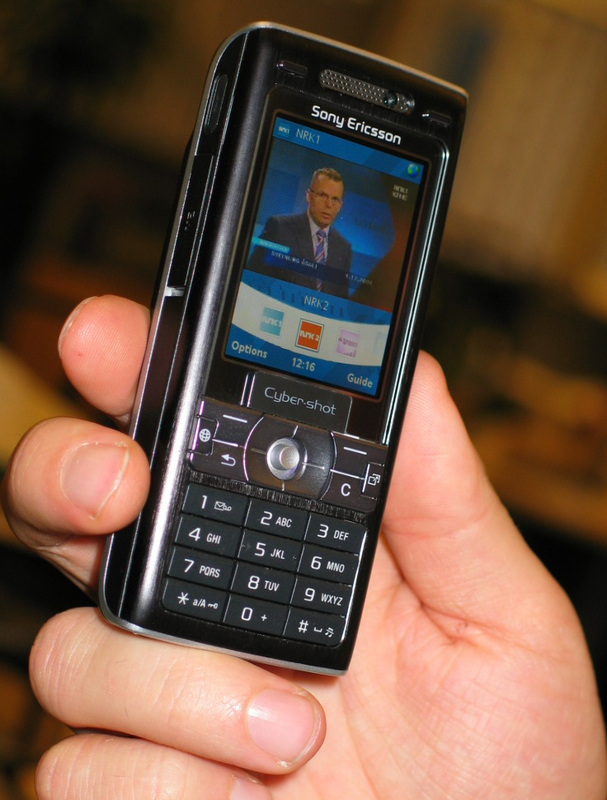 Customers may use their handsets to interact with the show's host via voting and chatting, and can contribute content by uploading photos and video clips. Content and services can be accessed via a downloadable client, a Java application providing fast channel switching, interactivity and the new personal advertising features. The new interactive mobile TV advertising application is an end-to-end solution based on existing technology. It enables mobile phone users to watch live or on-demand streamed TV programs and interact with their favorite brands or shows. The trial is being run over existing mobile network infrastructure and uses current, commercially available mobile phones.